The General Data Protection Regulation (EU) 2016/679) commonly referred to as GDPR, is one of the most significant changes to business law in decades. eased legal obligations it has placed on them. If your company is one of these, do not worry we are here to help. Our GDPR team are highly experienced data control experts. 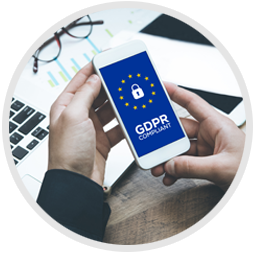 They are season professionals with vast knowledge and expertise in GDPR compliance. The Protect 2020 GDPR Gap analysis packages comprises as a complete assessment of your current compliance posture and identifies any area in need of improvement. Following your assessment, you will receive a comprehensive easy to understand report designed to help you achieve full compliance in a cost-effective manner. Our GDPR team’s assessment of your current compliance posture will include, but is not limited to, a review of the following areas.